Parts of a guitar are still the same ... The guitar has a long history and has gone through some major architectural changes over the millennia. That said - the parts of a guitar today, regardless of model or type, are nearly all the same. 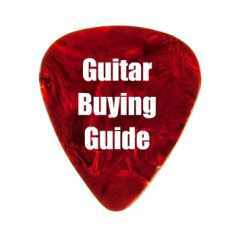 So once you’ve learned the basics, you can apply them to most any guitar. We’ll start with the basic components of the guitar, and then talk about the parts attached to these different components. The body of the guitar is by far the largest part of your instrument. The body is usually an hourglass shape and is made-up of a back, sides and top. Just to orient your, the “top” is the part with the sound hole in it and, when you are playing the instrument; it is the part that faces out away from your body with the side of the guitar resting on your leg. Sometimes the body of the guitar will have a “cutout” section where the body of the guitar attaches to the neck so that you can reach the higher frets more easily. The body of an acoustic guitar is almost always hollow and typically made of wood. One notable exception are Ovation guitars, which have synthetic backs. The higher quality the wood (particularly the top wood of the guitar) the better the guitar will sound. A solid spruce top, for example, delivers an excellent sound. When learning the parts of a guitar, you will need to become very familiar with the neck. The neck of the guitar is the long piece of wood that is attached to the body of the guitar and connects the body of the guitar to the headstock. Since the neck is where the frets are, you will be getting to know this area very well. At the end of the neck is what is called the headstock of the guitar. The headstock is where you’ll find the tuning keys (or pegs) and machine heads. The machine heads hold the strings to the far end of the neck, and as you turn the tuning pegs the machine heads rotate to adjust the tone or pitch of individual strings. The tuning pegs themselves are usually made up of die-cast metal and can be twisted with the fingers to tighten or loosen the strings. 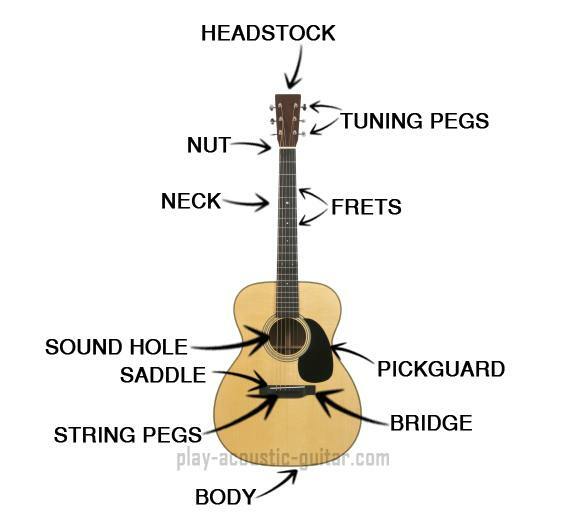 The headstock is connected to the neck of the guitar by a piece commonly called “the nut.” The nut is a thin piece of wood, plastic or even bone that has grooves cut into it to help guide the strings from the fret board (on the neck) to the tuning pegs and machine heads on the headstock. Attached to the neck are pieces of metal – those and the spaces in between them are commonly known as “frets,” and collectively as the “fret board.” Acoustic guitars usually have twenty frets. When you hold your guitar, the fingers of one hand are strumming the strings across the sound hole while the fingers of your other hand depress the strings against the frets in different combinations to produce different sounds or chords. I know these sound like something from a country western song, but as parts of a guitar are concerned, the bridge and the saddle are incredibly important. The bridge is particularly important because the strings are anchored to pins (known as string pins or string pegs) behind the sound hole in the front of the guitar. Since the bridge can be adjusted both up and down, the movement of it can change a guitar’s sound and playability. The saddle is a piece in which the strings ride (hence the name saddle). Sometimes there are grooves on the saddle to keep the individual strings from touching each other. Of all the parts of a guitar, the strings are probably the most “visible”. The strings turn this attractive wood sculpture into a musical instrument. In the early days of guitar, players would install strings made of animal intestines, called “catgut” strings. The downside of these strings is that they become dry and brittle over time. Significant advancements have since been made and most players today prefer steel and nylon strings. 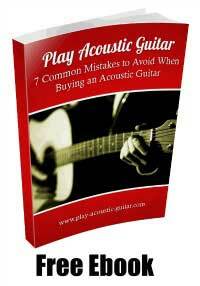 Acoustic guitars normally have either six or twelve strings made of either steel or nylon. The kind of strings used is usually dependent on your own personal preference and the type of music you play. The strings are anchored to the guitar at the bridge, run up through the saddle and across the frets, through the nut and are attached on the other end at the machine heads. 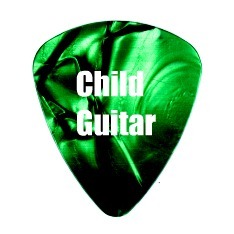 While not as important as the main parts of a guitar, the pick guard still plays its part. 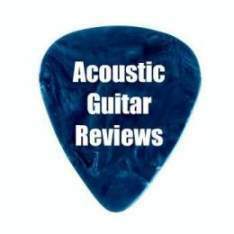 The pick guard is a hard surface attached to the front of the guitar below the sound hole and serves to protect the body of the guitar from the strumming of the pick. Many guitars have decorative embellishments around the sound hole. These are known, collectively, as the rosette. The rosette can be fairly simple or it can be a complex piece of artwork. Inlaid wood patterns, mother of pearl, even silver or gold work in the rosette can raise the price of a guitar by thousands of dollars. Congratulations, you’ve passed your first test! Once you have become familiar with the parts of a guitar, you will be ready for your first lesson. Or, if you can’t afford lessons from a real instructor, feel free to take advantage of these free acoustic guitar lessons. Another advantage of knowing the parts of a guitar is that you will be able to pinpoint when specific parts of your guitar are “acting up” or need replacing. Speaking of which, if you find yourself in need of specific guitar parts; strings, pins, straps, a new bridge even, we may have exactly what you are looking for.